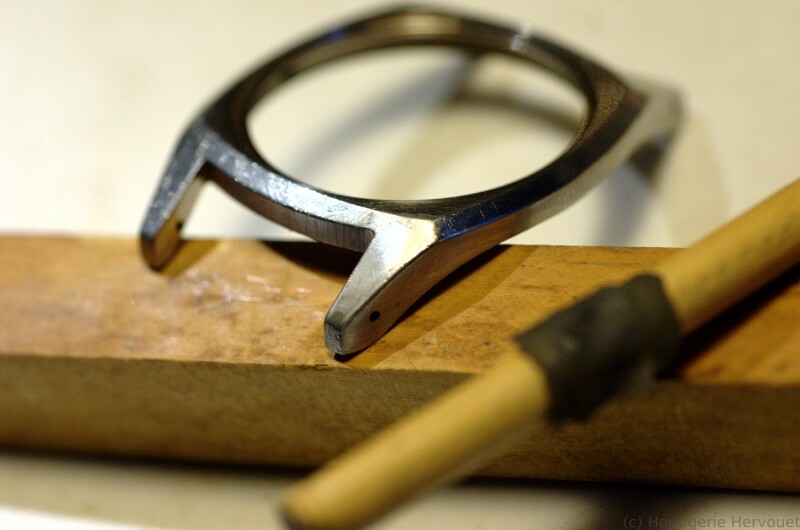 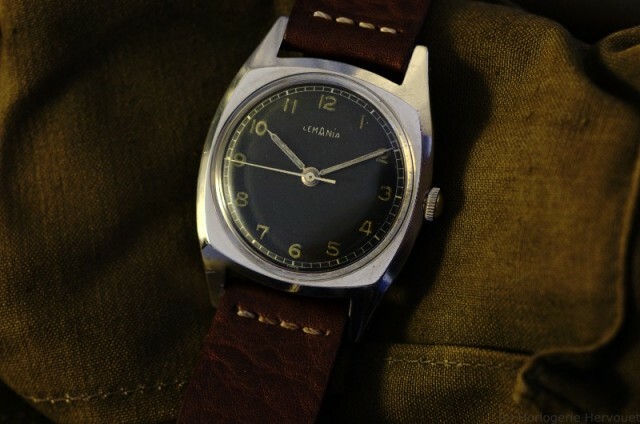 Lemania was a Swiss manufacturer, best known among collectors for its military watches. 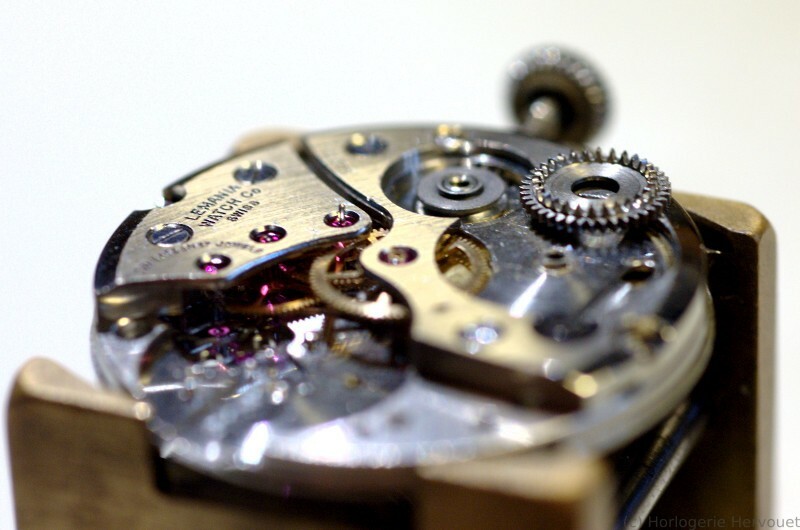 It made chronographs for the british RAF, for the swedish army, … Lemania also build ebauches for other manufacturers: the famous Omega Speedmaster “Moonwatch” used a Lemania-based movement. The Lemania 5100 was fitted into quite a few military and civilian watches, for example the Bundeswehr issued some to helicopter crews. 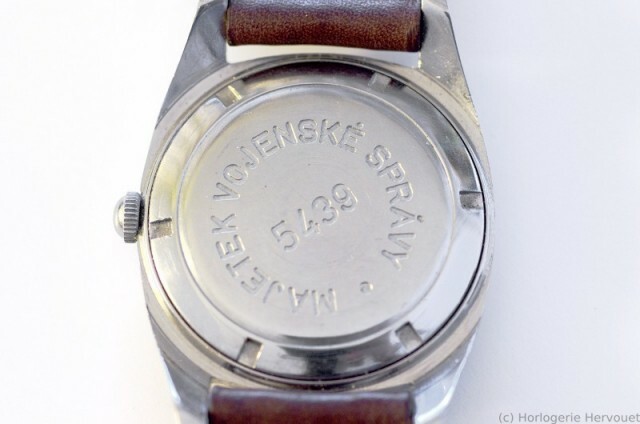 “Majetek Vojenske Spravy” stands for “property of the military administration”: it is cleanly written all over the caseback, with a unique number, usually 3 or 4 digits. 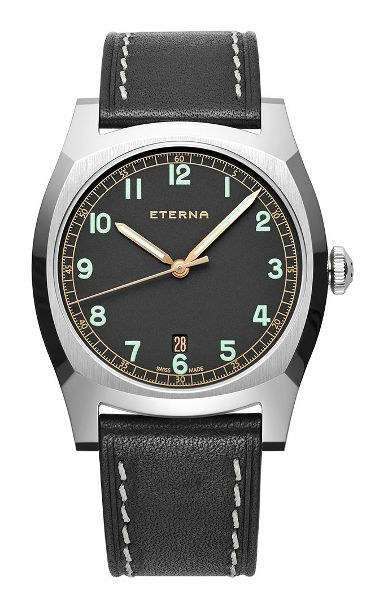 This watch was never sold to the general public, there are no markings on the dial so collectors call it the “Lemania Majetek”. The case has an uncommon shape and size for a 1950s watch: thin (9mm) but big (38mm across without the crown) for yesterdays standards, the angular shape sets this watch immediately apart.